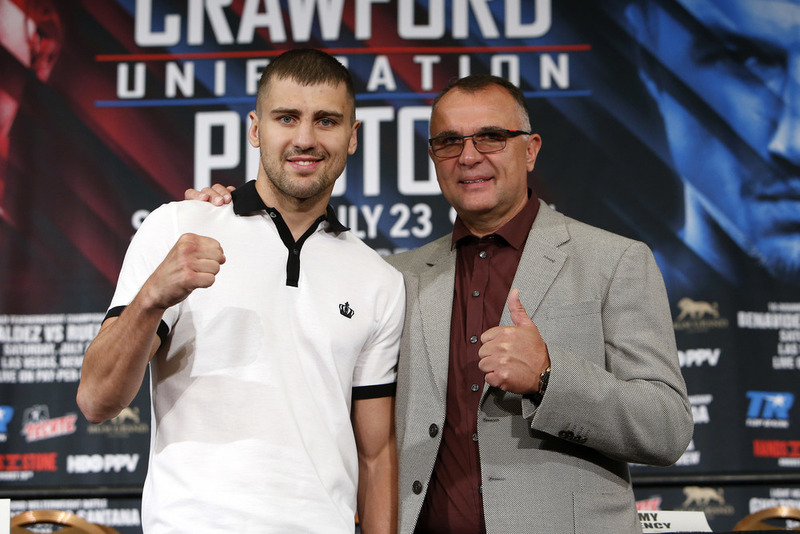 The Crawford-Postol supporting card features four unbeaten boxers and three potentially explosive fights with boxers that could impact the light heavyweight, welterweight, and featherweight divisions. The 175-pound bout is headlined by power puncher Oleksandr Gvozdyk, an undefeated Olympic bronze medalist from Ukraine, who will be taking an important step up against Tommy Karpency, an experienced world title challenger. 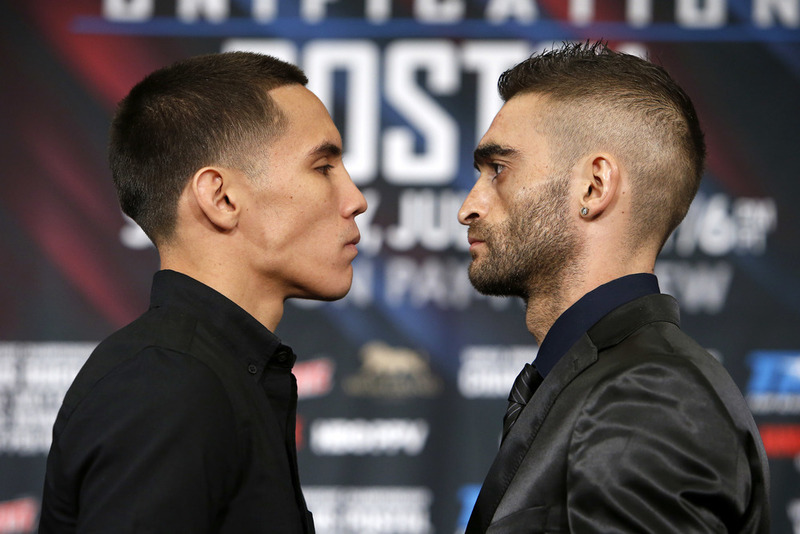 Fast-rising featherweight Oscar Valdez, a two-time Mexican Olympian with superb boxer-puncher skills, will be fighting for a vacant title against another unbeaten fighter, Matias Rueda, a heavy-fisted Argentine who has knocked out 23 of the 26 opponents he has faced. In another intriguing matchup, welterweight Jose Benavidez puts his unblemished record on the line against an all-action fighter, Francisco Santana. Both boxers are hoping to use this fight to move closer to a 147-pound championship bout. Gvozdyk (10-0, 8 KOs), whose power is being compared to light heavyweight champion Sergey Kovalev, is being moved up the ladder fast by Top Rank. 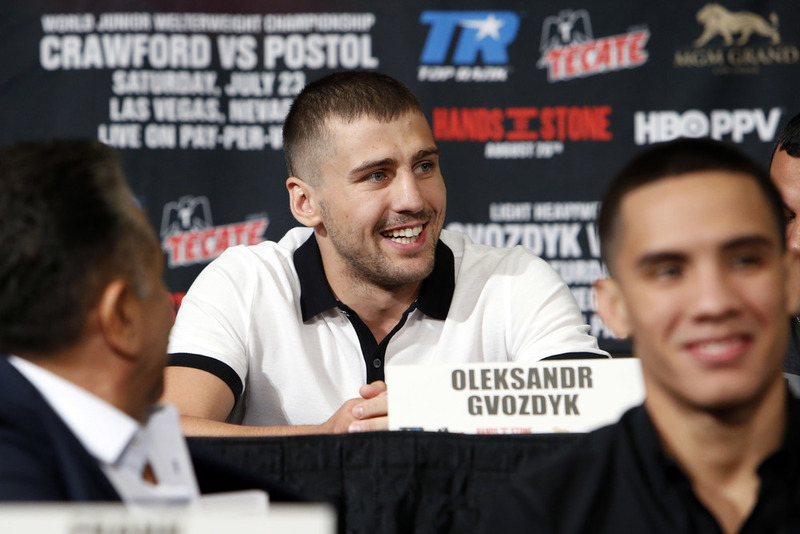 The promoter did the same thing with Gvozdyk’s fellow Ukrainian and Olympian, Vasyl Lomachenko, the exciting featherweight champion and pound-for-pound contender. Putting Gvozdyk in the ring with Karpency (26-5-1, 15 KOs) in just his eleventh professional bout is an ambitious bit of matchmaking, but not unusual for a boxer with a standout amateur pedigree. That being said, there are potentially a couple pitfalls for Gvozdyk in this fight. While he possesses a tremendous skill set, Gvozdyk still appears to be a bit raw at times. In contrast, Karpency is a finished product who’s been in two title fights – though he lost both, first to then unbeaten Nathan Cleverly in 2012, and last year to knockout artist Adonis Stevenson. Based on Gvozdyk’s last fight in April, there appears to be some question of just how sound his defense is. Facing former title contender Nadjib Mohammedi, Gvozdyk took four clean punches to the head in the first round. None, however, seemed to faze him, and in the next round he knocked out Mohammedi with a right hand that hit so hard, the Frenchman was unable to stand for over a minute. There’s no denying, however, that like most top-tier European amateurs who turn pro, Gvozdyk’s offensive skills are as technically sound as they come. With his long reach of 75½ inches, the Ukrainian boxes behind a crisp jab that he often doubles up on. He is well-balanced at all times, his footwork is excellent, and he fights out of a compact stance, throwing short, crisp punches with power in both hands. Karpency’s signature win was a split-decision victory over former elite champion, Chad Dawson, who was, however, past his prime. An American who fights out of Pennsylvania, Karpency has a simple but often effective style. He is a plodder who boxes flat-footed and likes to keep the fight at a distance. His offense consists of sudden lunges inside with his jab leading the way. While inside, he’ll land a couple of quick punches and then jump back out. For a fighter with a high-boxing IQ like Gvozdyk, Karpency’s style won’t be hard to figure out, and a convincing victory would bump the Ukrainian up the ladder toward a title fight. Two-time Mexican Olympian Valdez (19-0, 17 KOs), who has future superstar stamped all over him, is also taking something of chance by facing fellow-unbeaten featherweight Rueda (26-0, 23 KOs), who has fought all but one of his bouts in his native Argentina. 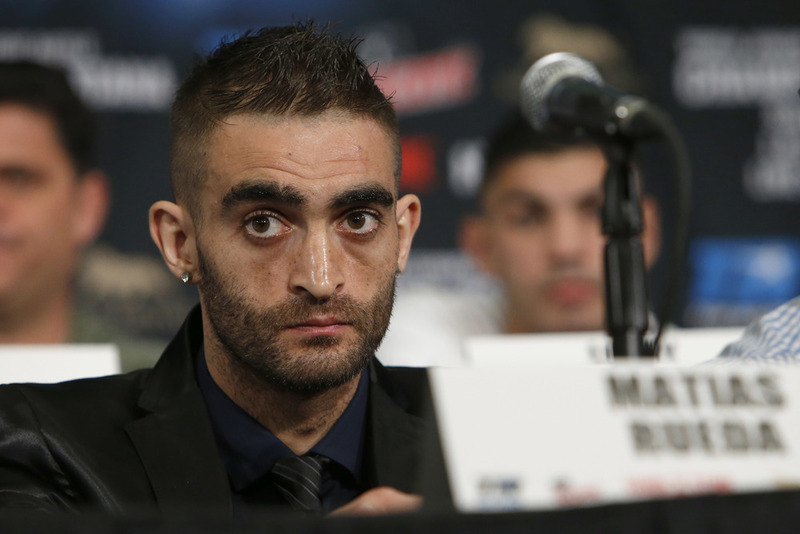 The welterweight division over the years has seen quite a few relatively unknown boxers from Argentina come to the U.S. and score major upsets, including Marcos Maidana and Lucas Matthysse. The common denominator in the Argentinean fighters who come to the U.S. is power to the extreme. Valdez also possesses plenty of power himself, in addition to a polished boxing-skill set. The 25-year-old Mexican is managed by Frank Espinoza and his son, Frank Jr., who’ve handled several lower weight class world champions, including Martin Castillo, Daniel Ponce De Leon, Abner Mares, and Israel Vasquez. Rueda enters this bout having won his last 10 fights by way of knockout. Besides his power, the Argentinean appears to be a well-schooled boxer-puncher. He fights with a high-glove defense, is patient, and doesn’t waste his punches. 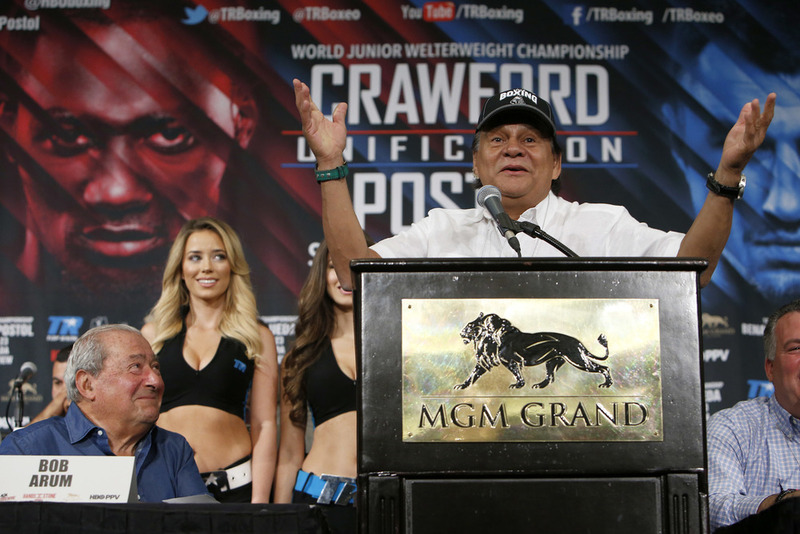 Valdez took his first step up in April when he faced former world title holder Evgeny Gradovich. The Mexican easily handled him with a combination of quickness and accuracy, eventually knocking him out in the fourth round. 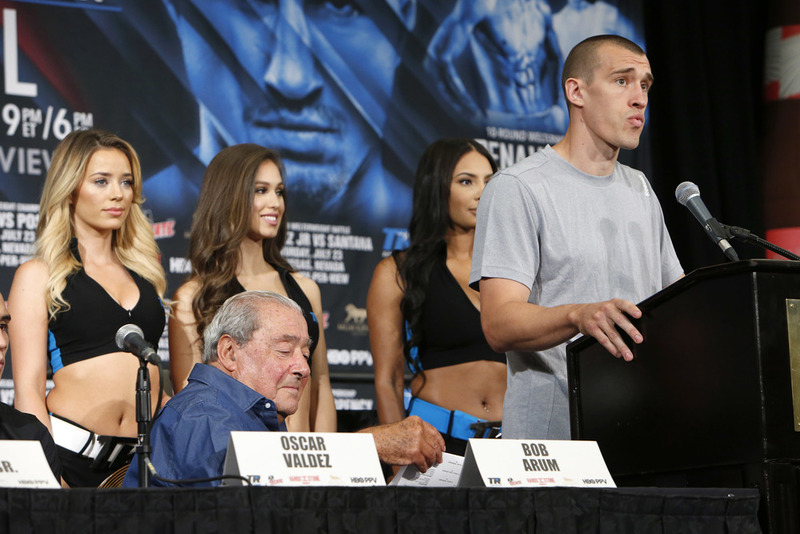 It was the first time in 23 career fights that Gradovich had been knocked out. 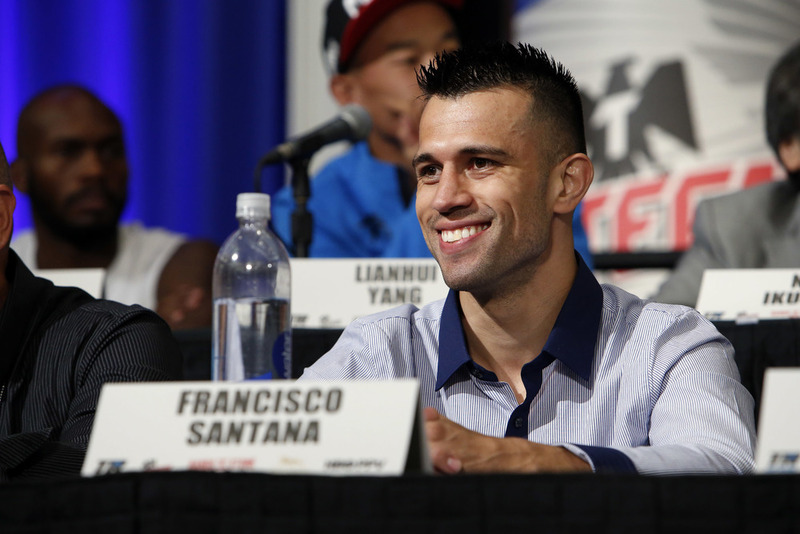 Espinoza also manages Francisco Santana (24-4-1, 12 KOs), whom he took on in February. Santana will be facing undefeated Jose Benavidez (24-0, 16 KOs) in a fight which could put either boxer in line for a welterweight title fight.